This is just one of many questions that come up when people start asking about my business and what I do for cyclists. Being a USA Cycling coach and pro mechanic has many benefits to all types of cyclists but in my humble opinion nothing compares to the importance of bike fitting in my practice. 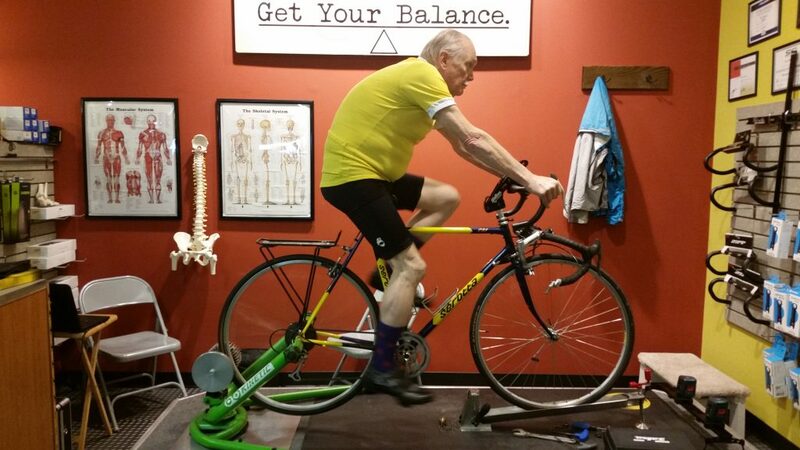 If you are spending an hour a week or more on your bicycle, regardless of the type of riding you are doing, you can get great benefit from a professional bike fitting. But why is it so important? Simply put, if you are more comfortable on your bike you will most probably ride it more. When you ride it more you will enjoy better health and get to see the world from a different perspective. Notice I didn’t say anything about the performance side of cycling from a fitting perspective just now. For most riders the issues they have with riding there bikes is not primarily a lack of performance but a lack of comfort. When you are more comfortable, efficiency goes up. When efficiency goes up typically performance goes up with it. That is why I look at performance as a “side effect” of bike fitting but rarely the primary reason why people are coming in to see me for a bike fitting. Martii here just wanted to ride his bike again. At 73 years old it had been years and it was terribly uncomfortable. So what are driving people to get bike fittings and why has it become such a big part of the cycling culture over the past dozen years or so in this industry? The short answer for most is injury prevention. Some of us are lucky enough to have been riding bikes since the dawn of clipless pedals. There has been plenty of damage done to thousands of riders as a result of poorly set up clipless pedal cleats and millions of pedal strokes in a less than optimal position can and has done lots of damage to people over the years. The medical community has got more involved in the research and development of how we interact with our bikes and as a result changes have been made to how we set people up with the foot/pedal interface. This medically based influence in positional changes has revolutionized the way fitters look at things like stance width, rotational angle, forefoot tilt and foot placement over the pedal spindle just to name a few. This foot/pedal interface is just one area of bike fit that science has helped change the approach of how fitting is done. People come in for a fitting with all types of issues on their bikes. Everything from sore knees and backs to numb hands and feet. Some people are recovering from a medical surgery to fix big things like knee and hip replacements to hernia surgery or bunions. The list is long and seems to never stop changing the longer I keep doing fittings. But the common thread to all of these people is the same ” I want to be more comfortable on my bike”. People often ask me if I have a medical education based on the interview process and assessment process they go through when getting a fitting with me. I am a bike fitter. I have no medical education and do not practice medicine or offer medical advice. 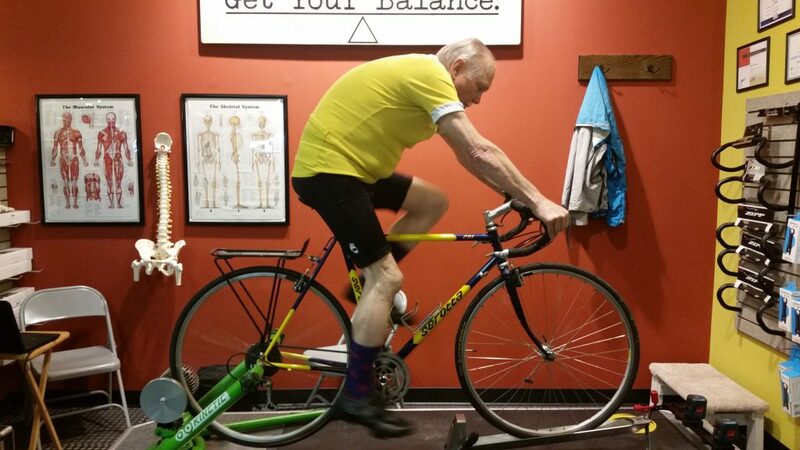 But everything I do as a bike fitter is based in the proven science of physiology, kinesiology and biomechanics. It is with proven science based techniques applied to each person individually (because every fit is different), I first identify the issues and causes of issues both on and off the bike. Once those issues are known I find the best solution for that person no matter if that is changing their bike or their body to improve the experience they have interacting with the bike. By making comfort the driving force in the fit position he is able to ride farther and more often. He is happy to be on his bike and on the road again. It comes back to the question or “Why is it so Important?”. I have been repairing people’s bikes for almost 30 years. While people are very grateful for me repairing the issues their bikes have the joy of that is soon lost. But when I fix the way they interact with their bike and relieve pain and trouble spots on their bodies while riding, they remember that every single time they get on the bike, day after day. I have received phone calls from across the country from people on vacation (on their bike) that just wanted to let me know how much happier and how much more fun they are having on their bike since the fitting. Sometimes many months after the fitting took place. That is truly gratifying and makes me want to do more fitting with more people. Nothing you do in cycling is more valuable, more rewarding and more noticeable in the long term than getting a professional bike fitting. That is why I feel fitting is so important.